Bradford City were lauded after beating Millwall but damned following a defeat by Yeovil Town. Next week they face a Chelsea team who have just put in what their manager José Mourinho calls "the perfect game" but a voice from Mourinho's past would caution him against such talk. The difference between success and failure for Phil Parkinson's team is narrow and because it is narrow a perception grows that a single player could bridge that gap. Rather than simply being the man who follows Nahki Wells it is Aaron McLean's inability to bridge the gap, despite the belief he could, is what has seen him become the scapegoat for a football team which has lost more than a finisher. 23rd February 2011Jason Mckeown on The managerial failure cycle – bad choices or bad strategy? Ask me who I think the best manager is I say Brian Clough. Ask me who my favourite is I say Bobby Robson. There are many reasons I have such high regard for the former England and Newcastle United manager and I am not alone in holding him in high esteem. The Brazilian Ronaldo was signed by Robson’s PSV aged seventeen and considered the manager a Second Father. When he watched his Newcastle United team beat Bradford City 4-3 and was asked about the poor defending on display he told the journalist who asked him that he has seen a brilliant game of football between two great teams and that he should go home to his family happy. “That is what I’ll be doing.” he said. Shall we clarify how much of a favourite Millwall were presented as before the FA Cup Third Round. There was a chance of an upset at The New Den on the Saturday morning but when the game kicked off the media focus was elsewhere. The City game lurched back and forth with one team taking the lead, then the other. One wondered if there could be a cup tie giving more entertainment. Two goals for Billy Knott and a couple of defenders struggling to cope with James Hanson who – if City lost – would probably have been the player sold in January to balance the books. The game seemed to matter. At 3-2 with ten minutes on the clock it seemed that Bradford City would have something of an upset but Ricardo Fuller scored late and in the reply it was considered that City would have more of a chance. Favourites now then. Valley Parade bustling after a successful campaign to hashtag-be-the-difference based on the anticipation of a fourth round trip which would take City to Stamford Bridge, home of Chelsea. Chelsea were and are top of the Premier League. It was anticipation. The chance to be against the best. And it was over very quickly. The sixth minute dismissal of Mark Beevers was already against the run of plan. The Bantams had put in three corners before Andy Halliday put a ball forward to James Hanson who outpaced Mark Beevers. Beevers who pulled him back and the Referee did as they do. Two minutes later Hanson was heading a flicked on corner in to suggest that City should start preparing for the trip to Chelsea. Ten minutes later and another ball in was loose in the box watched – watched – by three Millwall players. Jon Stead had time to cross oceans and acres to put the ball into the goal. He did. The rest of the story, dear reader, you know. Halliday, then Knott again and Millwall ended up paying their supporters back for turning up. 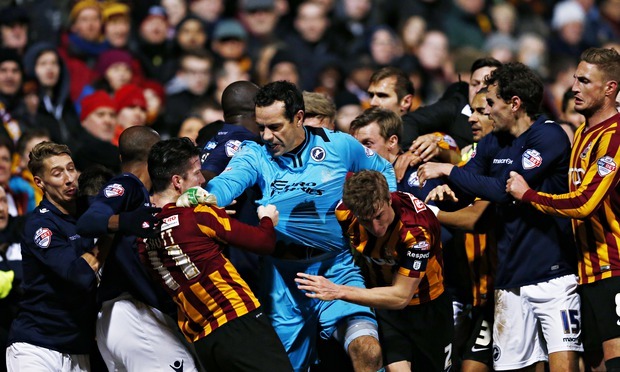 Were Bradford City good or Millwall bad? The question did not dare suggest itself until after Saturday’s trip to Yeovil Town. Millwall gave up but – it must be remembered – they gave having started from their position of strength in the first game. When Lions manager Ian Holloway talks about how he has never seen a team collapse in that manner he excuses himself of amount of time which passed in which the advantage in the tie – not just the replay – past from South London to West Yorkshire. That a team has a poor performance is almost always the result of a good display by the opposition. Bradford City had got into a habit of making games difficult for opposition sides from the divisions above in the League Cup. Make every free kick difficult, make every throw in prompt, run for every ball to make the defender run too, make every passage of play into something that presents a difficulty for the opposition. When Bradford City beat Chelsea 2-0 in the Premier League on Benito Carbone’s home debut the performance represented something of a high watermark. I once saw David Wetherall – defender in that side – asked if he thought that City had only won because Chelsea were so bad that evening that they beat themselves. Wetherall could hardly understand the question and struggled to answer. As Millwall manager Ian Holloway kept his team in the dressing room for an hour following the game Phil Parkinson’s Bradford City side took the plaudits. There was a crispness to how the playmaker midfield – abandoned of late but reasserting itself – worked with Billy Knott in the forward midfield position and all over the pitch players could be proud of great performances. The pitch was covered with high watermark performances. Filipe Morais’ ability to find the rhythm for the inside midfield role as distinct to that played when on the wing seemed like a justification for his two and a half year contract. Morais is a more useful player than first he seemed and his ability to play simple football most often sets him apart from other players who show off tricks to try convince all that they are more useful footballers than they are. Andy Halliday was praised for his steady work ethic. The back four for their solidity. When Alan Dunne throw James Hanson into a wall and goalkeeper David Forde punched Billy Knott in the face City were even praised for how they all stood together in the brawl that followed. For City talk moved to a game with Chelsea of course, but also to play offs and possible promotion. By contrast Holloway was telling his charges that eight changes would be made for Saturday and a new captain would be appointed as they prepared for something like a slaughtering. And that night I remembered my favourite maxim of Bobby Robson. Perhaps it was the idea that the club he was playing was selling tickets for another match on the day they faced his side but Yeovil Town manager Gary Johnson sense that his team which had not won since September would get something against City. It was in the air. The Bantams too light in the tackle perhaps fearing suspension, too slight in the challenge perhaps fearing injury. Or perhaps a ten minute game against Rochdale followed by a mid-week cup tie on a heavy Valley Parade pitch just took it out of the team. Either way City were a shadow. Gozie Ugwu scored the only goal of the game and Parkinson will have been pleased with a second half where his team pressed more but City suffered a second league defeat in two. This one was against the team bottom of the league. And so in an atmosphere of discontent over tickettng for the Chelsea game Parkinson’s side were driving back into ill temper. Not good enough was the general tone and in fact not good. The unexpected high watermark was expected to be the new standard. The Londoners were magnificent in putting five goals past Swansea City without reply. They have a fluidity in their forward four which one doubts Andrew Davies and Rory McArdle will have faced before and they have John Terry and Gary Cahill ready to go man for man with Hanson and Stead. It would be a folly to suggest that Chelsea have all the ability by City have character because without character Chelsea would not be the top of the Premier League. And they are top of the Premier League, and they are playing well. Chelsea are playing the best football in the country at the moment and they have won every league game at Stamford Bridge this season. One wonders what to expect next week in West London. One wonders what we will go home and tell the family. When he was appointed Sporting Lisbon manager in 1992 Bobby Robson appointed José Mourinho – then a scout at another club – as his interpreter. Robson took Mourinho to Porto, and then to Barcelona. More about Andy Halliday, Billy Knott, David Wetherall, Filipe Morais, Gary Johnson, Ian Holloway, James Hanson, Jose Mourinho, League One, Mark Beevers, Millwall, Phil Parkinson, Sir Bobby Robson, Sporting Lisbon, The FA Cup, Yeovil Town. There is a view of history which holds that if there had never been a Genghis Khan, a Joseph Stalin, a Pol Pot, then the course of the world would have been drastically different. No Mongol hordes, no Cold War, no pogrom. This is the individual view of history. There is a competing view that suggests that those three people, indeed any person of history, is only of history because of the rising and falling of collective events. That if it had not been Genghis Khan then someone else would have been credited for leading the hordes, and history would have remember their name instead. That large groups rather than an individual caused the world to turn. This is the collective view of history. It is less exciting, but probably more accurate. Stoke City’s rise to the place of mid-table in the Premier League is largely down to former manager Tony Pulis, and Pulis puts any success he has had down to a recruitment policy based on character. When speaking about Ryan Shawcross Pulis commended the defender’s character – which is to say his desire to win football matches – saying that a team was built on players such as Shawcross. Why do Bradford City supporters not curse the name Benito Carbone? Why is Ashley Ward’s time at the club given a light disregard when the memory of Mike Duxbury can cause grown men to froth at the mouth? What is it about Darren Morgan that has some City fans reserving a place in the inner circle of failure which even Aaron McLean – seemingly leaving City this week – need not fear reaching? And what is this word scapegoat which is applied in defence of McLean? Has his treatment been unfair? What are the mechanics of failure at a club like Bradford City that can lionise one player and condemn another. When Aaron McLean leaves Bradford City, few will be upset. McLean has done well in the past proving his ability but did not do well at Bradford City. 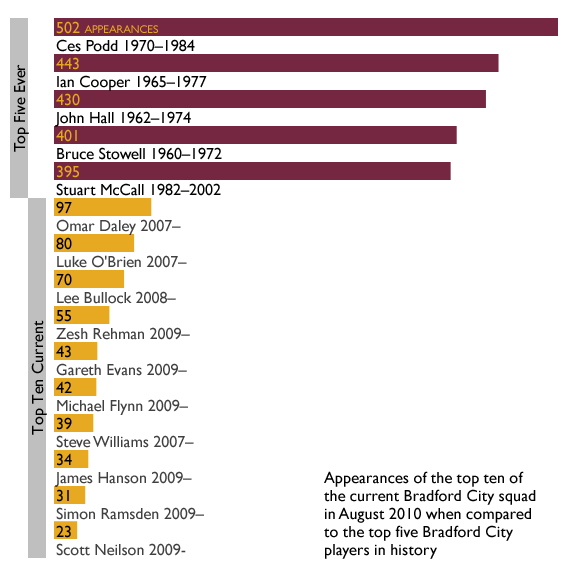 The sort of ability McLean is credited with is rare for Bradford City players over the last decade. Few players have been criticised for want of motivation rather than ability. More common in the last decade have been the players who have shown a level of effort that defined their abilities. The words “give everything” are used about James Hanson, Gary Jones, and Andrew Davies. Players like Barry Conlon, Matthew Clarke and Lee Crooks were never said to be shirking, just that they were poor footballers. McLean gets to nestle his name alongside Ashley Ward, Nicky Summerbee and Bobby Petta in the players who idled away their talents rather than had no talent to begin with. Aaron McLean arrived to replace Nahki Wells. Wells enjoyed a meteoric rise at Bradford City. His speed and eye for goal were impressive and he played a role in taking City to Wembley twice in three months. After an early exchange of distaste for his choice of clubs following City it seems that Wells has settled back into his place in the hearts of City fans. One might speculate that the fact that Wells has joined a Huddersfield side in the year they have achieved next to nothing is his saving grace for City fans. Were Town in the play-offs and Wells the architect of that, then things may be different. But Wells is not an architect. The type of player he is – they are called “finishers” for a reason – puts him at the necessary end point rather than the engine room of a team. Wells was the end of a team of Gary Jones, Rory McArdle, James Hanson et al. Those players were the big characters who pushed the team. Wells, Nathan Doyle, Will Atkinson, Carl McHugh were (seemingly, and by virtue of their exit) the “eighteen monthers” that Pulis talks about. Losing Gary Jones was inevitable. Phil Parkinson probably joins with the rest of City fans who watch the skipper playing for Notts County and wonders if there was another year in the now 37-year old midfielder, but giving him that extra year is a delay of the inevitable need to replace him. Losing a player like Gary Jones from your team – be it from age or transfer – matters more than losing a player like Wells because of the type of strong character he is. Bringing in or building a replacement takes time and may not be achieved. Those old enough may remember the attempt to replace the massive presence of Stuart McCall with Iain Banks and wince at the memory. If you are younger, read “Gary Locke” for Banks. It is Parkinson’s hardest job and while developing Billy Knott may be a long term solution, one suspects the City manager has concluded that he needs to bring a character into the side and is working to that end. At the moment though Parkinson puts out the team he has and that team has some qualities, although is lacking in others. Who does not love Xaviar Barrau? Who was the scapegoat in David Wetherall’s relegation side which was the worst team Bradford City have fielded in my lifetime? Who carries the can for those feeble months? Not Wetherall, and not his players. Spencer Weir-Daley’s many misses against Leyton Orient and Omar Daley’s giving up of the ball on the wing are critical memories but on the whole the players are not criticised. Kelly Youga (injured during his time at the club) is fondly remembered. Who does not a place in his heart for Xaviar Barrau? Wetherall’s side were simply too poor for scapegoats. To single out one player is to allow a club and a culture at a club to be freed from blame. No one points the finger because no one has enough fingers to point. Likewise relegation from the Premier League is never assigned to a group of players, and the likes of Benito Carbone are heroes of the club. Circumstances dictate that a scapegoat will not be found, at least not on the field. Parkinson’s team are not so outgunned as those two examples. The are far better than Wetherall’s side for sure, and the rest of League One is – in relative terms to City – not as good as the rest of the Premiership was in 2000. Phil Parkinson’s team are closer to success. Indeed at the moment City win and lose on the basis (seemingly, but probably not in the opinion of the management) of individual actions. Billy Clarke puts the ball an inch lower and Oldham away is a good point; Christopher Routis heads a ball into the stands against Sheffield United then City get a battling point with ten men and so on. Just as two years ago Rory McArdle’s determination was the difference between winning and losing against Aston Villa in the League Cup semi-final. When the difference between success and failure is small there is a temptation to assign it to individuals and individual actions. Watching the career of Liverpool’s Steven Gerrard is watching that that theory in action. In European Cup and FA Cup finals (both of which ended 3-3) he has been heroic because he has been the individual difference between success and failure. Last season his defensive slip against Chelsea – an individual mistake – seemed to cost his team the Premier League title. “If he had not slipped” is said with a misty eye by many, but few ask what would have happened if (now Liverpool’s) Dejan Lovren foul on Daniel Sturridge in November 2013 in a Southampton 1-0 win at Anfield had been given as a penalty. Aaron McLean’s first game at Sheffield United for City – a 2-2 draw – had the striker almost score the goal which almost built his confidence and almost put him on a run of goalscoring, and so on. McLean is in poor form, and plays like a player in poor form, and many people (not me) consider that the problem City face at the moment is the need for a finisher. The logic follows easily that McLean, a finisher, could be difference between wins and defeats. My view of football is increasingly more inline with Pulis, and it is more inline with the collective view of history. When Nahki Wells was scoring for City it was not because of his abilities so much as because of the team’s abilities (which he was a part of) and had you dropped Aaron McLean in then, McLean would be the “Goal Machine” his name so cruelly rhymes with. If you put Wells into the current City team, he would struggle. The team struggles because of the recrafting job that is needed on its core following Jones’ departure. and the wider break up of the “History Makers” team that Phil Parkinson built. The eighteen months were up, and now Parkinson starts again. The manager is not back at square one, and the fact that the gap between success and failure seems bridgeable is a frustration, and causes this illusion. Nahki Wells was a hero of Bradford City’s success. Aaron McLean, because of his place in our history, is a hero of failure. More about Aaron McLean, Barry Conlon, Benito Carbone, Billy Clarke, Billy Knott, Bobby Petta, Carl McHugh, David Wetherall, Dejan Lovren, Gary Jones, James Hanson, Juan Mata, Kelly Youga, Lee Crooks, Liverpool, Mike Duxbury, Nahki Wells, Nathan Doyle, Nicky Summerbee, Phil Parkinson, Rory McArdle, Ryan Shawcross, Steven Gerrard, Tony Pulis, Will Atkinson, Xaviar Barrau. The biggest job Phil Parkinson has had since he got to Bradford City is to replace Gary Jones who will leave the club during the summer. What is more Parkinson’s ability to replace Jones will be the decisive factor in if he is Bradford City manager this time next year. Jones’ ability should not be understated – a League One club (like Rochdale) might judge from his performances last season that he was still worth a place in the team – but Parkinson will miss his leadership. Not since Captain McCall left had City been left with such a significant hole in the dressing room. A good captain improves the players around him, he pulls them through games, and he inspires them to find something which without him they would not have. Stuart McCall was the example for his and anyone who watched him dragging a City team to the Premier League would have recognised those qualities in Jones at Villa Park, at Burton Albion, at Wembley. Jones ensured performances from the players around him. After years of watching a team with the nominal leadership of David Wetherall, the withering leadership of Tommy Doherty, the slight times of Simon Ramsden, the shouting ineptitude of Guy Branston City had a player who led on the field and led well. Every great team has an avatar of the manager on the field and Jones did that for Parkinson. Which leaves the manager with a problem. No matter who gets the armband next season Parkinson needs someone who shows Jones’ leadership. Someone inline with the manager, who can be the manager’s voice on the field, and can give Nathan Doyle a kick up the arse when needed. Without that leadership any team stop being greater than the sum of their parts and then when parts start to misfire they become less still. We saw this as Stuart McCall’s side faded away for the want of the on the field character that, as a player, he shared with Jones. That team was – and one could argue this at length – man for man “better” players than Parkinson’s side last season but they were a worse team and much of the construction of that team was in “right mentality”, “character”, “heart and soul” which Gary Jones brought. And without that City – mid-table last season – cannot expect a better return next year and one doubts that a same again display from Parkinson will be considered acceptable for a boardroom which twitches more than not. As Gary Jones exits Phil Parkinson has a lot of work to do. Aside, from Michael Wood, on Gary Jones There was no way to fit this into the article above but as a story I think it says much about Jones. Before Wembley City were approached by The Sun to ask for single game on shirt advertising for the League Cup final. City would have worn The Sun logo on the shirt but at sometime before a decision was made the idea was presented to the two Liverpool born players: Gary Jones and Stephen Darby. And it was Jones who replied that he did not want the club to take The Sun’s money. More about David Wetherall, Gary Jones, Guy Branston, Phil Parkinson, Simon Ramsden, Stuart McCall, Tommy Doherty. Readers of long-time Bradford City fan John Watmough’s outstanding Counsel and Criticism column for the City Gent will be only too aware of the number of occasions a new Bantams manager has complained about the fitness of the players. And, as the players returned for pre-season today, at improved training facilities, latest manager Peter Jackson has taken his turn in bemoaning the condition of the squad he inherited. So often has the Telegraph & Argus relayed such sentiments from City gaffers that one can’t resist feeling as weary and cynical as John when reading them. If every new manager really had gone onto improve the players’ fitness when they arrived, City should be putting people forward for the Olympics. It comes across as a cheap shot, a chance to talk down the past and propose that behind-the-scenes training exercises they have instigated – which we’d otherwise never notice the fruits of – will make a positive difference. Though Jackson has at least has gone further than some of his predecessors in his plan to address the supposed problem – with the appointment of Nick Allamby as fitness coach. Allamby, former head of fitness at Middlesbrough where he worked with City assistant manager Colin Cooper, will help the players through pre-season and then two days a week once the campaign gets underway. His arrival is the latest dot in a more joined-up thinking strategy that seems to involve finding experts and letting them run their own areas of the club, rather than the manager controlling and taking responsibility for all. After all, what does a football manager know about fitness? As a player they would have been required to follow exercises set out by their club’s coaching staff and their own focus would have been on building and maintaining their own. When undertaking the necessary coaching badges that all managers have to complete these days, learning about fitness and how to build it in players would have undoubtedly figured on the courses. But that hardly makes them an expert in an area that almost every City manager seems to take pleasure in deriding their predecessor for. At lower league level and City in particular, fitness experts are rare if ever used. When taking over as caretaker manager in 2007 David Wetherall did employ the outside help of Sports Scientist Ed Baranowski to improve the players’ fitness levels, but the results of Wetherall’s attempts to implement a high tempo playing style were poor. With managers before and after, the fitness side of matters has apparently been down to the manager and coaching staff to implement. There’s probably little wrong with this if all of City’s rivals are doing the same; but in a league where the tiniest of percentages can make a huge difference, Jackson and Cooper’s move to bring in Allamby could make a tangible difference. Allamby’s arrival follows Archie Christie’s appointment as Chief Scout, with his very own budget to work with and objectives to achieve. And suddenly Bradford City’s future does not quite seem solely the responsibility of the manager, but a number of different experts working towards a universal goal. A well qualified person to pick the first team on a Saturday, a specialist scout to unearth hidden gem players that can form part of that selection, and a skilled fitness coach to ensure each and every player is at their physical peak. Other key figures at the club such as Peter Horne will also have a big role. Perhaps most encouraging of all is that it is difficult to place the credit for this developing off-the-field strategy on one person. Cooper has brought in Allamby with Jackson’s approval, while it appears Christie’s arrival is more the work of the joint Chairmen Mark Lawn and Julian Rhodes. There is apparently some like-minded thinking in Lawn, Rhodes and Jackson’s vision for next season, and hopefully with it will be a better chance of achieving those goals. A year ago it seemed Peter Taylor was the only person with a plan, with Lawn and Rhodes bending over backwards to help put it into action. Taylor’s superb track record meant this was understandable, but the fact he didn’t see out his one-year contract left the club struggling for direction when he departed. Perhaps the pair have learned from this experience and are consciously doing things different now instead of devoting almost every penny to signing players – the new training facilities, after all, were their initiative. This time around, it can be argued the buck for failure won’t rest solely with the manager. Those who have access to the bigger picture will be able to look at every area and assess where it might be falling down. That way the long-term planning doesn’t need to end when the manager departs. Wishful thinking maybe, but if and when Jackson is relieved of his duties in the dugout it would be nice not to have to read other staff being placed on gardening leave and for everything to be torn up yet again. More about Archie Christie, Colin Cooper, David Wetherall, Julian Rhodes, Mark Lawn, Nick Allamby, Peter Jackson, Peter Taylor. Before they started sleeping in a comedy bed as manager and chairman at Sunderland Niall Quinn had made an erudite and unequivocal damnation of Roy Keane following the midfielder’s walk out of the 2002 World Cup. Paraphrasing Quinn he poised the question as to how professionalism was judged in football. Quinn’s contention was that it was not in the medals won or the bowls of pasta eaten – a culinary metaphor to match Keane’s prawn sandwich brigade – but how the footballer dealt with less than ideal circumstances. In 2002 Keane – it seemed – had fallen short of Quinn’s judgement. Keane’s path crossed with David Wetherall – who announced he was leaving Bradford City after 12 years – on the pitch at Elland Road. Keane wanted to end Wetherall’s career in the same way he maimed Alfe Inge Haarland but never got the chance. Perhaps Keane looked at the decline that Wetherall’s career took as a kind of justice. I do not like Roy Keane’s way of thinking about football, or life. David Wetherall is taking up a job at the Football League as Director of Youth Development having had a behind the scene’s role at Valley Parade for the three years since he retired. Think of David Wetherall and Bradford City and one thought comes to mind. Go on, watch it on YouTube, we will still be here when you come back. 14th of May 2000 and David Wetherall scores the goal which kept Bradford City in the Premier League. It capped a season to saviour, his first year for the Bantams, and Wetherall lists that and his goal against Manchester United in a 1-0 win for Leeds United as the greatest moments in his career. They were golden days for the two clubs who – it might be nice – could invite him along to the League Cup First Round so that both sets of fans can celebrate that rarest of thing – pan-West Yorkshire hero. Wetherall’s highlights are impressive but – to me – the are not the measure of his professionalism. A glorious season with Bradford City in the Premier League was the end of the good days for Wetherall in his career. From then on it was years of decline for him and for us. Season on season of decline – every year finishing lower than previously – but a decline which Wetherall did all he could to arrest. His guidance of Mark Bower made a good player out of a player on his way to the non-league, his displays showed a level of performance which proved and example to his team mates, his leadership of the side was constant. None of it seemed to turn around the slump. He was inducted into the Show Racism The Red Card Hall of Fame for his work against racism. He was called on to manage the side, we were relegated. The measure of his professionalism was not in that one afternoon in May 2000, it was in his efforts after which might not have reached the same heights but showed a player ready to fight for the cause. Dealt with less than ideal circumstances, not medals and bowls of pasta. I struggle to think of a better man to develop young players for the Football League, and am proud to have had him on our side. More about Alfe Inge Haarland, David Wetherall, Mark Bower, Niall Quinn, Roy Keane. If there is a place to want to be this weekend it is apparently on the Bradford City team bus that will be taking the players to and from the Priestfield Stadium for the Bantams’ important League Two clash with Gillingham. Interim manager Peter Jackson has been quick to point out that there are a lot of southern players in the bulging squad he has inherited. He’s not saying there’s a North-South divide, just that no longer will players, who have friends and family close by the Southern excursions that form part of the League Two fixture programme, be allowed to get off the bus early. A statement that has attracted strong approval from some impressed supporters. With such a strong keenness to get the full time job, it is perhaps understandable that Jackson is keen to differentiate himself from the previous regime and drop not-so subtle hints that he believes the more relaxed stance the last guy took was wrong. However a few media soundbites to curry favour with supporters willing to embrace new reasons for why Peter Taylor was a poor manager deserve to be taken with large a pinch of salt. For much of this week, every word uttered by Jackson has seemingly been met with strong approval by some supporters – and there is already some clamour to sign him up before he has even taken charge of a game. But the simple, overlooked reality is that every new manager over the years is the recipient of warm approval for what they initially say, and the idea that Jackson forcing the players to eat breakfast together is a meaningful reason towards why he’d be the right man for the job is somewhat over-simplistic. Just one year ago, Peter Taylor was receiving exactly the same treatment from some supporters. Every public utterance was not only considered over-whelming evidence of his brilliance – it was another opportunity to slate the last guy. So if Jackson feels the need to talk down Taylor’s approach – and he is entitled to do that if he believes it will earn him the job – he should do so knowing full well that, should he succeed in getting a contract, in one or two years time his successor will making similar statements about why his different methods will be more effective – which will be leapt upon by some as evidence Jackson was a terrible manager. It’s happened before, countless times. City Director Roger Owen was last year quick to ensure we all knew that Taylor – unlike his scruffy, ill-disciplined predecessor Stuart McCall – was making the players wear suits on matchdays. ‘Brilliant’ was the general reaction, but it hardly boosted results. David Wetherall was quick to deride the players’ lack of fitness after taking over from Colin Todd in 2007, but his efforts to introduce a high-intense approach coincided with some of the worst performances of the season. Bryan Robson and Todd claimed they would play attractive passing football “unlike the previous manager who preferred direct football”, even though Nicky Law hadn’t actually played in this way. And this need for a new manager to provide tedious reasons for they are different to the last man – in order to earn praise and encourage favourable comparisons to the outgoing guy – isn’t exclusive to City. Witness the always positive welcome new England managers receive. Sven Goran Eriksson supposedly failed at the 2006 World Cup because he let the WAGS stay in the same hotel; under Steve McLaren the squad didn’t eat their meals together. So Fabio Capello was praised for banning the WAGS and for not allowing players to leave the dinner table until the last man had finished, but England’s fortunes failed to improve. All of this is not supposed to be intended as an attack on Jackson. BfB has been criticised in recent days for not being positive enough on his interim arrival; but, for me at least, it’s more a weariness about this reoccurring situation than anything personal. The club continues to under-perform, and somehow all the blame for it ends its way solely on the manager’s shoulders, and he is got rid of. Then a huge wave of positivity greets the next man and he is initially praised for nothing more than a couple of nice comments in the press, before in time it all becomes his fault all over again. Maybe Jackson is the right man; but after so many failed managerial appointments over the last decade, it seems foolish to dive into falling head over heels for him so willingly and so quickly. Is he right to keep Southern-based players on the team bus all the way back to Bradford? Who knows, but the insinuation that Taylor failed because he made certain allowances for people who have family and friends hundreds of miles away from Bradford is misguided and somewhat trivial. Paul Jewell was known to make similar allowances to his players during the last promotion season, and team spirit wasn’t a problem then. At worst, Taylor stands accused of treating adults like adults. Let us, for example, imagine the negotiations for signing Tommy Doherty last summer – someone who has previously played all his career in the South. Doherty might not have been keen to move so far North, away from loved ones, so Taylor may have offered a concession that he can go home at weekends after the match, including not travelling back to Bradford after a game in the South. As a result City can sign a talented player who would have proved more effective had an injury not hampered his efforts. More realistically what Jackson offers the club is someone who will do things different to Taylor. There will be some methods he’d employ that would work better than Taylor’s equivalent approach, but other ideas which won’t. However we come to view Taylor’s time in charge, the facts are his strategy has delivered outstanding success at certain clubs but didn’t work at Valley Parade. That doesn’t mean those methods are wrong, more that we need a manager who’ll be able to flourish in the Bantams’ environment. Jackson gets his first true outward opportunity to stake a claim for the job with the long trip to Priestfield tomorrow. The Gills have always been strong at home – even last season when they were relegated from League One – and though City have been able to enjoy success in Kent, most notably in the last meeting two years ago, it is the kind of place they often return from pointless. An interesting first test for Jacko. It seems a waste of time to predict his team, other than to expect a 4-4-2 formation that will include some of the players who clearly impressed him during the reserves 6-2 hiding of Port Vale on Tuesday. So expect Scott Dobie, Gareth Evans and Jake Speight to be knocking on the door to partner James Hanson. In addition Jon Worthington, who played under Jackson at Town, will be hopeful of a recall. Whoever makes the cut, it’s to be hoped the coach journey doesn’t prove to be the day’s only highlight. More about Colin Todd, David Wetherall, England, Fabio Capello, Gillingham, League Two, Peter Jackson, Peter Taylor, Roger Owen, Steve McLaren, Sven Goran Eriksson, Tommy Doherty. Peter Taylor’s final game as Bradford City manager has just kicked off and after ninety minutes, half time and a couple of stoppage times the 58 year old former England manager walk away from Valley Parade for the final time. Taylor’s year at Bradford City will be the subject of debate for years to come. Why did the man who gave David Beckham the England captain’s armband flutter the captaincy around no fewer then eight of the Bantams squad? Why was someone who was appointed for his experience found making what seemed to be very basic mistakes so often? It is damning of Taylor that almost every Bradford City supporter has a list of the mistakes they believe he has made and that often these lists are entirely different. One will complain about his use of loan players producing a gutless team, another about his negative football, a third about his treatment of the players and so on. For a manager who even now as he exits a club in the lower reaches of League Two his CV is still massively impressive and suggestive of a superb manager. That so many subsets can be made out of the list of mistakes he has made is stunning. Personally I find it easy to ignore the criticism of the manager for making the players wear suits – or indeed the praise for that which now seems very long ago – or for his colourful use of language in the infamous statement on his fortitude against criticism from the terraces. An irony that, in the end he leaves talking about the negativity around him from the supporters and its growing influence. Those bastards did grind him down in the end. I’d charge him with giving huge responsibility on the field to players who were not ready for that – Tom Ademeyi and David Syers in central midfield against the five of Lincoln is the most obvious example – and as such costing games and taking an unknown chunk out of those player’s confidence. It was – to me – man management at its worse. The management of what you want the man to be, not what he is at the moment, and Taylor carries the can for that. At 58 and with 26 years of management experience though one can expect Taylor to carry that can and take responsibility for this year. He will write it on his CV alongside his promotions at Hull City and Wycombe Wanderers and admit freely that his methods do not always work, but sometimes they do and that is more than most can say. And he may mitigate the season with talk of the injury list and the fact he was promised training facilities which did not materialise. One might expect Taylor to feel some justification in that final point. He told the board in May that they needed to address the Apperley Bridge problem in order to create a team which would get promoted. They did not, but still promotion was expected. So Taylor carries the can for the board of the club who made promises and for whatever reason could not fulfil them. The next manager will no doubt be required to work with what is at the club in terms of facilities and talk of Apperley Bridge not being fit for purpose will be dubbed “an excuse” but nine months ago Bradford City asked a man with five promotion what it would take to make the club upwardly mobile once more and, on hearing the answer, have yet to address the situation. That is a failure by the club on the whole, and one that Taylor carries the can for as he does the club’s obsession with short term thinking which goes back a decade if not longer. The belief at the club (in boardroom and in supporters) is that teams can be built in a summer and Taylor carries the can for that assumption which is proved wrong time and time again. Taylor worked with the squad left by Stuart McCall who had three summers and three building jobs to do having inherited a squad of about eight players from David Wetherall’s few months in charge which included the delights of Spencer Weir-Daley, Moses Ashikodi and Xavier Barrau. What price then for the 16 year old who Geoffrey Richmond did not want in five years time because he needed someone on the pitch on Saturday? Taylor’s contract was set as one three month deal, another for twelve and this was done for very basic financial reasons – it was all the club could afford – but the lesson of the last decade is that without anything to build on the manager is put in a constant cycle of rebuilding. It is easy to say in retrospect – although one can find many comments at the time worried about the length of Taylor’s contract – but the club should aim to appoint a manager who will be at the club in the long, long term. Someone who can be afforded for five season, not out of price after one, and someone who views the City job as the potential to build the big club they all talk about wanting to manage. Bradford City are not a towering big club, they are a series of jenga blocks scattered about. The job is building the tower without knocking it over every time you touch it. As people begin to suggest themselves for the City job: Phil Parkinson, John Hughes, John Coleman, Keith Hill, Alan Knill, Dean Windass and so on; I find myself not really caring what the name on the contract is as much as I care about the number of years. It is a sad day when any club looks to Newcastle United for advice on how to appoint a manager but Alan Pardew has a five and a half year deal at St James’ Park which says he is staying put (and perhaps being joined by Peter Taylor) and trying to build year on year at that club. We should be doing the same and employing a manager with long term aims that are not tied to short term results. I want the manager of Bradford City to be in charge of building a club. In charge of making sure there is a through put of young players, in charge of taking the players we have and improving them and getting the best out of them, in charge of making the club better next year than it was last and doing that over the long term rather than simply being about seeing his he can win on Saturday and get promotion at the end of the season. Changing the manager is not as important as changing the manager’s job description. By the time you read this Taylor will have gone and he will go carrying the can for his own mistakes for sure, but also for any number of assumptions and errors systematically made over the years. Unless there is a reverse in the attitude of the club – including in support as well as the boardroom – then the man who replaces Taylor – unless he gets ludicrously lucky that when he throws the jenga blocks in the air they land as a tower – is just tomorrow’s sacked manager. More about Apperley Bridge, David Beckham, David Syers, David Wetherall, Geoffrey Richmond, Jenga, Julian Rhodes, Mark Lawn, Moses Ashikodi, Peter Taylor, Spencer Weir-Daley, Stuart McCall, Tom Ademeyi, Xaviar Barrau. The managerial failure cycle – bad choices or bad strategy? The recent demoralising defeats to Port Vale and Chesterfield have once again heaped the pressure on Bradford City manager Peter Taylor. This weekend the Bantams face a crucial home game with Stockport that could determine his immediate future, but already it seems implausible to believe Taylor will be employed at Valley Parade beyond the expiration of his contract in May. It will soon be time to search again for the man to revive this ailing football club but the fact we keep going around this cycle of getting rid of a manager and replacing him with new one – with little success in reversing a slide down the leagues – can already leave us pessimistic that the next manager isn’t going to be any better. To blame the club’s decline on poor managers would be over-simplistic and, no matter who takes residence in the dug out after Taylor, there will still be all manner of financial issues that hold us back. Yet so much is reliant upon the manager that it is such a key position to get right, and as thoughts soon turn to filling a vacancy it is a process that needs to be reviewed in order to increase the chances of it succeeding. We can’t just keep hiring and firing and hope the law of probabilities means we’ll stumble on the right manager eventually, can we? Over the last few days Michael has written two excellent articles – here and here – on what the club and supporters might be looking for in the next manager. Too often, it seems, football clubs in general appear to have no thoughts on the right person to take their club forwards beyond sacking the present incumbent and waiting for CVs to file through in the post. It seems a backwards methodology in these days of recruitment specialists and head hunters and, as City apparently keep getting the choice of manager wrong, it’s worth posing the question of whether this is because as employees we keep making bad choices, or because the qualities we are looking for have either not been considered enough or were misguided. Sunday 14 May 2000, and Martin Tyler’s description of David Wetherall’s winner for Bradford City against Liverpool – which confirmed the club’s Premier League survival – is relayed around the world. A pitch invasion follows the final whistle and the celebrations in and around Bradford go on long into the night. But something’s not right. Rather than looking joyous or even relieved, manager Paul Jewell is sporting a scowling face that radiates the pressure he has been under from media, supporters and his boss. A few weeks later he quits, fed up of the way he has been treated. And the last successful Bradford City manager we’ve had goes onto enjoy a fine career elsewhere. It is at this point the look behind the strategy should begin; because although the steep decline that followed was more to do with finances than bad management, nothing on the pitch has proved a success since. I never agreed with the decision to appoint Chris Hutchings as Jewell’s successor, but it’s difficult to dispute the logic that led to Chairman Geoffrey Richmond promoting Jagger’s assistant. Since Lennie Lawrence departed in 1995, Richmond had enjoyed great success promoting from within after both Chris Kamara and Jewell delivered a promotion and survival in the division above the following season. An Anfield-esqe bootroom culture that promoted continuity was a worthy blueprint. I never agreed, because the circumstances were different. Kamara and Jewell took over a club with the resources and capacity to be better than they were, but City had now climbed to a level they had not previously reached for almost 80 years – and we needed some experience to help us negotiate uncharted territory. Instead Hutchings was entrusted with the biggest transfer budget this club is ever likely to have, and given a remit to improve the style of football and guide City to a mid-table spot. History shows this was far too ambitious – not to mention damagingly expensive – and, as clubs like Stoke and Wigan continue to battle to preserve their top flight status year-on-year, the idea that City could prosper by turning to flair and playing 4-4-2 at Old Trafford now seems breathtakingly naive. A more experienced manager would surely have known that the strategy was all wrong. With such a talented squad at his disposal, it was no surprise that Hutchings quickly came under pressure as results were poor, and Richmond – to his later regret – failed to back his man and sacked him. What we needed was an experienced man who’ll who whip these under-achievers into shape. A no-nonsense manager. Such requirements led to Jim Jefferies, a tough-talking Scot who’d enjoyed great success in Scotland, taking charge. Yet within weeks he was telling Richmond that the club was effectively relegated and needed to get rid of the fancy Dans. It was only December. In the excellent ‘The Pain and the Glory’ book Richmond was scathing of the job Jefferies did, but in some respects ‘the Judge’ did a good job in at least helping the club prepare for tough financial times ahead by getting rid of high-earners and sellable assets before the end of the season. He was given little money to spend on replacements with City now in Division One, and it proved a thankless task trying to take the club forwards when so much quality was being taken out. Jefferies left the club after 13 months, and with such fiscal times on the horizon, the search for a new manager centered on candidates with experience of finding lower league bargains and happy to manage on a small budget. Peter Jackson turned the position down, so in came the Lawman. As City went through the turmoil of administration and emerged skint and picking up out-of-contract players from Brentford, it was difficult to imagine a better person to have in charge than Nicky Law. He managed the club well through a very difficult 2002/03 season – targeting battlers over flair – but was a victim of rising expectations soon after. The remaining high earners departed in the summer of 2003, and the wage constraints meant that Law struggled to find replacements good enough to keep City in the division. So Law was sacked after 12 winless games, and with Gordon Gibb now in charge it is interesting to speculate how his approach to recruiting the next manager differed. Gibb had enjoyed success building a theme park with sufficient attractions to keep people visiting, and it was clear that much of the thought behind appointing former England captain Bryan Robson was to increase falling attendances. It didn’t work, and a deflated Gibb would depart just 8 weeks later with Administration 2 just around the corner. Meanwhile Robson was benefiting from a larger budget than Law and was able to bring in experienced loan players, with a greater focus on skill over graft. Results were improving, and though it would probably have proved too little too late City might have managed to avoid relegation had the administrators not taken over and being forced to sell key players. Robson was left trying to keep City up with players he’d declared only two months earlier to not be good enough for the club and who were welcome to leave. With the prospect of limited funds in League One, he felt it was a job he could not continue. I thought we would be facing a relegation battle. Bearing in mind this season was going to be about coming out of administration, I thought we might well be facing life in League 2 when the rebuilding could really begin. Todd’s time in charge was categorised by low budgets and limited stability. He put together a decent team that threatened to finish in the play off picture, and though the following season saw little progress (another 11th place) the Bantams still only lost 13 games. Todd, however, was under pressure from a section of supporters. Some argued the former England international lacked passion for the job, and that defeats didn’t hurt him enough. Some argued we could do better than treading water in mid-table. But when he was eventually sacked midway through his third season, City drowned. Rhodes, who had previously backed his man strongly even during difficult times, admitted that the pressure of supporters and stalling attendances was a telling factor in booting out Todd, especially now he had just launched an innovative season ticket deal that required thousands of people’s commitment. When it gets to the stage where they [supporters] stop coming then something has to be done. At the end of the day it’s their club. He was right, only now it was our League Two club. So out with Todd’s lack of passion and after David Wetherall’s unsuccessful caretaker stint, the hunt for the next manager did not require an advert in the classifieds. We needed someone who cares, someone who will get the players going and someone who will not tolerate underachievers. We need arguably the greatest achiever of City’s modern history. In came Stuart McCall, along with the investment of Mark Lawn that allowed the club to hand the manager a relatively strong playing budget for the first time since Chris Hutchings. McCall was the overwhelming choice as next manager from fans because of the passion he’d put in to the job, no one can argue they were disappointed on that front at least. Unfortunately, no matter how much Stuart cared he was in his first manager role and working in a division he didn’t know, and the inexperience was to show as success continued to allude the club. McCall put his neck on the chopping board straightaway by declaring he’d be a failure if he didn’t guide City to promotion at the first attempt – but he did fail attempt one, and then attempt two, and he was on course to fail attempt three before he eventually quit. Of course the experiences along the way helped him to become a better manager, and by the end he had enough knowledge of the lower leagues to be able to use a reduced budget to bring in non-league players that could make the step up. Nevertheless, just like with Todd, the lack of speed to the progress left McCall under heavy pressure. The passion and how much he cared went against him in the end. We didn’t want someone who would be more upset than us if they lost, we needed a wise head who had a track record for success. Passion was good, but the very reasons McCall was brought in were no longer what the club was looking for. This time a job advertisement would be needed. Which brings us back to Taylor, who was appointed on the basis of his outstanding track record in delivering success and high level of experience. However, criticisms over the football Taylor favours have followed him throughout his long managerial career, and he is now heavily slated for style of play City have produced for much of the season. We know Taylor will be gone soon and, when the discussions over the qualities to look for in his replacement begin, it’s likely that style of football will feature strongly on the next list of interview questions. Hutchings to Taylor via Jefferies, Law, Todd and McCall. All were branded failures and, with such a cycle of hiring and firing helping the Bantams fall from the Premier League to League Two, one is again left to wonder what could possibly lead us to believe the next guy will prove any more successful? But is it a matter of changing managers proving futile, or is our ongoing failure to find the right man more to do with the goalposts continually shifting? Was Nicky Law sacked because the lower league manager route was wrong, or was hiring someone with great experience of handling small budgets actually a sound strategy that should have been continued? Instead of getting some guy who used to play for Man United to pack the stadium out, after Law should we have recruited then-Doncaster manager Dave Penny, for example? Did Stuart McCall fail because he cared too much, or was the passion we hired him for the right quality required and Dean Windass should have been given the job instead of Taylor? We ask for one quality in a manager, don’t like some of the other characteristics that manager brings and then dismiss that original quality during the next search. We want a manager who is not the last one, and so we go and get one – and in doing so we always find that the next guy is lacking some things but not the same things. So while we might have thought we’d found the solution, we end up finding a new thing to be the problem. Circumstances – not least City’s changing financial capabilities – have changed often during the last decade. But as we soon start to prepare to recruit another manager it’s to be hoped the criteria will be more thought out than finding someone “not like the last manager.” Because over much of the past decade, that has often appeared to be the case. More about Bryan Robson, Chris Hutchings, Colin Todd, David Wetherall, Geoffrey Richmond, Gordon Gibb, Jim Jefferies, Julian Rhodes, Mark Lawn, Nicky Law Snr, Paul Jewell, Peter Taylor, Sacking, Stuart McCall. Sadly it seems that success in football – as in life – is always fleeting. An ethereal thing almost as soon as it is grasped then success is gone, dissipated in the desire for a better success. We look back a decade to Bradford City celebrating staying in the Premiership only to set sights on European football and a “kicking on to mid-table finish” the next season. That year Manchester United won the treble and since have never been happy with domestic success alone since. It is in our reach that we define our tragedy and doom ourselves to discomfort, or so it is said. Wycombe Wanderers under Peter Taylor were promoted from League Two two years ago and seem on course to celebrate similar success this year having seen this sojourn back to the fourth tier as an unwelcome diversion from progress. There was a time they were happy to be in the League. What we have we do not value, and we want more or so it seems, and to this maelstrom we welcome Dominic Rowe and Alex Flett. The mind is right to do so. That skinny sixteen year old who filled in for Ces Podd in 1982 was in Flett and Rowe’s position and and he turned out well. Watching the progress of players like Don Goodman, Andrew O’Brien and Dean Richards was a source of pride and joy for City fans in years gone by. Soon though this joy of the first team squad will fade. 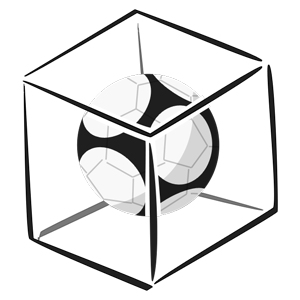 Because then they will be required to be substitutes, and then “impact substitutes” who change games and then when they start they will quickly be required to make manifest difference on the field. Each time what was considered an achievement would be relegated to being a kind of failure. The rapidity of which this happens is always astounding. However it is a natural thing – and often a good thing – to press all the players for more. There is a disappointment that comes when a player seemingly plateaus. When he gets onto the bench and is in and out of the team, or when he gets into the team but does not excel in it. This situation has repeated itself in City’s recent history. Names like Danny Forrest, Craig Bentham, Tom Penford come haunting from our recent past and no sooner do they than someone advances the ill-advised words “not good enough” evidencing that with the fact that one struggles to find a young player released by City who has come back to League football. Jake Wright and Emile Sinclair spring to mind, few others. In his diary of a journeyman footballer Left Foot Forward Gary Nelson talks about the effect of releasing young players and how it breaks not only their prospects but their career paths. Nelson ponders on how such players could be expected to turn around their careers after such a sudden and grinding halt advising then team mate Kim Grant to stay at Charlton because the facilities are better and moving down never promises anyone a first team place. Looking at the current Bradford City team which is besieged with often vitriolic criticism it is hard to imagine how much worse things would have gone had Tom Penford and Craig Bentham been in the the midfield. Football would be a lot better if everyone stopped looking as players as discreet replaceable commodities and started looking at them as raw materials to be crafted with. Not that Bradford City behave in a way which differs from the majority of football clubs but the majority of football clubs – and Bradford City – are not successful after the traditional close season squad purge and replace. Perhaps this squad purging is generally counter productive for football as well as for the players involved. Had City decided that we fans would be denied the delights of watching Steve Claridge, Moses Ashikodi, Ryan Kendall, Willy (Not Billy) Topp, Mark Cullen et al and decided that they would retain Danny Forrest since 2005 when he was released would the action of working with and giving the assurance of continued football to the same player then, again, one wonders how would have turned out any different. Ashikodi did not stop relegation, Topp did not fire us to promotion. The received wisdom in football is that players – and young players – excel or move out and that process is successful in ensuring the best prosper but perhaps the input and development of a football club could see that the players who are under this cream of the crop grow into good squad members and, in time, more? One wonders if Rowe or Flett will make the bench on Saturday – Peter Taylor is talking about welcoming old heads into the side so probably not – but if they what impact they will be expected to make. Certainly it could be said that this is not the time for throwing in new faces to a struggling team. Taylor’s side have not recorded a win since Monday the 3rd January 2011 surrendering play off hopes to relegation worries in the process. The solution to this is – it is hoped – arriving in the form of experienced professionals replacing younger players. Richard Eckersley and Mark Cullen have returned to Burnley and Hull City respectively as the Bantams welcome back to starting line up contention Simon Ramsden, Lewis Hunt and Michael Flynn. That trio’s return – and the possible recovery of Steve Williams and the delayed debut of Scott Dobie – could give the City side a radically different look to the previous game. The back four would seem to be set for an overhaul with Lewis Hunt at right back and Simon Ramsden taking Shane Duff’s place as defender and captain alongside either Luke Oliver or a fit Steve Williams. Luke O’Brien is expected to stay at left back. The midfield three of Jon Worthington behind David Syers and Tom Ademeyi is hard to break up – Syers plays well and Ademeyi retains his place regardless of performance – but Michael Flynn might be expected to return their of in the attacking three. Flynn’s ability to add to the forward line could see him in place of the departed Omar Daley alongside James Hanson and Gareth Evans but such a move would not open a slot for Dobie or fellow new arrival Kevin Ellison. Taylor has rarely used Flynn as a midfielder. A word on Daley who – it would seem – has played his last game for the Bantams. The players inconstancy has been mentioned after his departure and in a way that is somewhat unfair on the winger assuming firstly that constancy is a base requirement rather than a rare thing in professional football and secondly making a criticism of the times he was unplayable on the field. “Constancy” and the pursuit of it is perhaps is the most ludicrous of all football terms. I kid you not, dear reader, when I tell you that I could be Bradford City’s most constant player were I to be given a shirt. I would be constantly very, very poor. There is something unpalatable about the criticism of players – and Omar especially – for inconstancy. The demand seems to hem players in. Is it better that a player try nothing which may result in something good for fear of looking bad? One of the most encouraging things about watching David Syers this year has been his willingness to be brave in his play, is he mistaken to do that for fear that when something does not come off he will be labelled inconstant? Which is not to say that players should approach the game in a random manner – there is a constancy of play which is not to be confused with constancy of performance – but rather that the heart of improvement is the ability to try and risk failure. Give me, for one game, Leon Osbourne leaving players for dead and rifling the ball into the goal and I shall be happy to worry about his ability to repeat that later. I would have players who have a constancy in doing the brave thing, rather than ones who succeed every time at doing the easy thing. These notions are thoughts of the future and the immediate problem of Daley’s exit is more mundane. Chief in his duties was pressure applied to defending players who attempt to recycle the ball. An opposition corner cleared long by City and Daley chased defenders into an early ball. Without Daley able to apply that pressure – often a facet of his ability to get to the vicinity of a clearance in quick time – then I fear that recycled possession will but the Bantams under increased pressure. In short that without Omar to chase the ball down, and the threat of his pace, City will end up without a release ball and under pressure more. One of Ellison and Dobie may be able to provide an alternative outlet ball for defenders lashing it away because a failure to do so will result in City defending upon defending, and that has been a problem all season. And so – for once – City have some riches (if riches is the right word) of resource to be embarrassed by and Peter Taylor gets a chance to field Flynn in one of a few positions while all Flynn needs to do is return the team to the type of form it was in before his absence and avoiding relegation should be a success. But a fleeting success at that. More about Alex Flett, Craig Bentham, Danny Forrest, David Syers, David Wetherall, Dominic Rowe, Emile Sinclair, Gareth Evans, Gary Nelson, Jake Wright, Jon McLaughlin, Jon Worthington, Kevin Ellison, Kim Grant, Luke O'Brien, Luke Oliver, Mark Cullen, Michael Flynn, Moses Ashikodi, Omar Daley, Peter Taylor, Richard Eckersley, Ryan Kendall, Scott Dobie, Simon Ramsden, Steve Claridge, Steve Williams, Tom Ademeyi, Tom Penford, Willy Topp, Wycombe Wanderers. Blackpool chairman Karl Oyston is doing his job so well that he has offered to resign from the newly placed Premier League club. You may recall the Oyston name from his Dad and the massive collapse the Seasiders had on an off the field when City beat them 3-0 in the play-offs in 1996. The son has been at the club since 1999 and seemed as surprised as anyone when Blackpool got to – and won – the play-off final finding themselves £90m richer and in the glare of the most watched football league in the world. From that day to this Oyston has seen his stock drop to the point where he offered to resign charged from all sides with a failure to be able to bring in new faces to bolster Ian Holloway’s promoted squad. Indeed with the highly rated Seamas Coleman returning to Everton after a year at Bloomfield Road it is said that the Tangerines are the first club in the history of the Premier League to have an obviously weaker side than the one which saw them promoted. Oyston’s issues are caused by a refusal to over pay for player, and to over pay players. The chairman vocalises a problem that Geoffrey Richmond also noted in his “King Canute” speech which denied Robbie Blake and Darren Moore five figure salaries but ended up offering such rewards to the ill-deserved collective of Bruno Rodriguez, Jorge Cadete, Ian Nolan, Peter Atherton and David Hopkin. Oyston – it seems – will not be drawn into valuing what the club does not have more than what it does. It’s been an eye-opener for us when we’re told by agents that their client wants to play in the Premier League, then they’ll go off and sign for a Championship club, but on more money. One can almost see the idea forming from Richmond to Oyston through Derby County’s errors and Hull City’s problems that is almost fully formed. Oyston has the actions, but not the reasons. Put simply when a club in the position of Blackpool – or City – is promoted to the top division they should not make any Premier League signings. Which is not to say that a promoted team should not try buy players – but they should be the same players who they would have signed were they not promoted. City – for example – were locked in bidding for players like David Wetherall with clubs from the league below. Indeed Paul Jewell missed out on signing Clyde Wijnhard because they were not able to match Huddersfield Town’s financial offer for the two players the defender opting for the top league, the striker for more money. Make the same signings and say on the day that you are promoted that the players who took you to the top flight will keep you in the top flight. After all the Blackpool players have – in that play-off way – proved themselves better than the division below, why not assume they are good enough for this division. The act of backing the players in such a public manner could – in itself – be decisive. There is much talk about money in football and money is not unimportant but ultimately the majority of money in football is wasted. Manchester City are the riches club in the world, but Manchester United are better and they are better because they have a manager who understands that the game is more mental than it is technical and games are won in the head before they can be won on the field. The price of failure – the relegation which could follow – comes with the sweetener that the money you got for going up has not drained away to players and can be used for genuine long term club growth. This summer – once again – one is forced to curse Richmond’s decision to spend money on Nolan, Atherton et al that could have paid for a training facility the club would be using today. The benefits of success are multitude. Should the squad that some would have thrown away retain Premier League status then they will do so well rewarded no doubt but without the financial costs of recruitment and paying Premier League wages and they will have a connection to the club which comes from experience wearing the shirt. This is true in failure too. the illustration which showed how few games City’s players had played said much about the connection between fans and players. Say to all that these are our players, the players we cheered to promotion, and build the belief in the squad that having earned their position in the top division they are good enough to build on that. Oyston is near, but not there yet. His instinct is right though. Why should Blackpool pay more for the players who have achieved less than their squad which achieved promotion last season? Money seduces all in the Premier League – in football – but the biggest betrayal of that seduction is the idea that one can shortcut hard work and mental belief that brings initial success by throwing around the cash that results from it. More about Blackpool, Clyde Wijnhard, David Wetherall, Geoffrey Richmond, Huddersfield Town, Ian Holloway, Karl Oyston, Paul Jewell, Seamas Coleman.